(above) detail taken from original art from The Patchwork Bike children's book (author the Legendary Maxine Beneba Clarke). 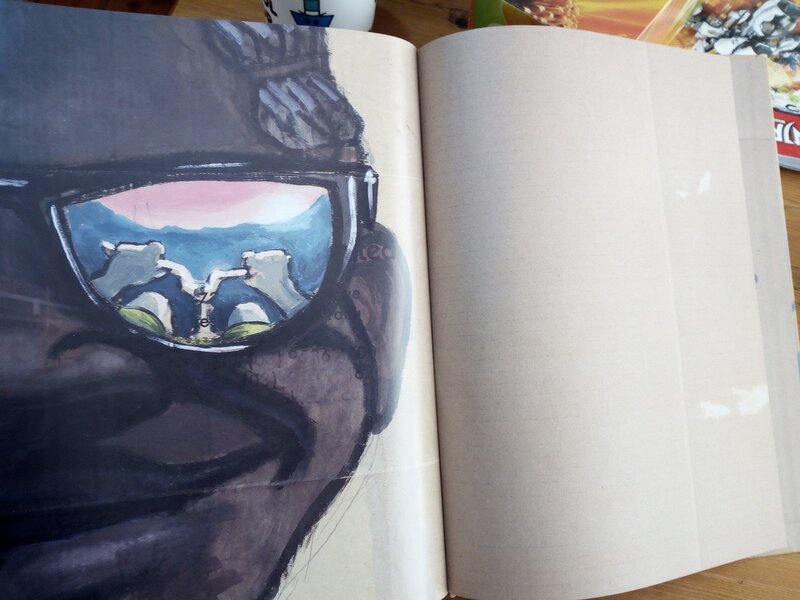 Just to clarify - I'm getting particular here, but my art in this children's book is def not illustration - it is painting. But ahhh what the hell - the literature world has these bizarre 19th century categories LoL. Groundbreaking, Earth shattering NEWS!! Got actually invited to speak at something! Me and my gobsmacking art (mostly children's book stuff - ahh but what the hell I always talk about my art as a whole thingster) will be a topic of discussion and workshops at the 2018 VOICES ON THE COAST literature festival. Check out the friggin program! Shock NEWS! 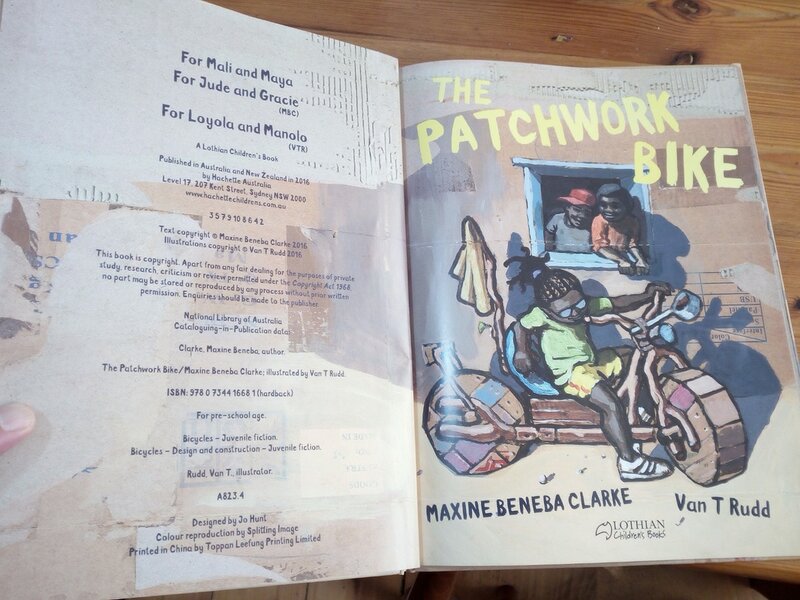 The Patchwork Bike has just been shortlisted for the 2018 Patricia Wrightson's Prize for Children's Literature! This is great news! See the snapshot below of the Judges review of the award winning book. For more information on the nature of the prize click here. 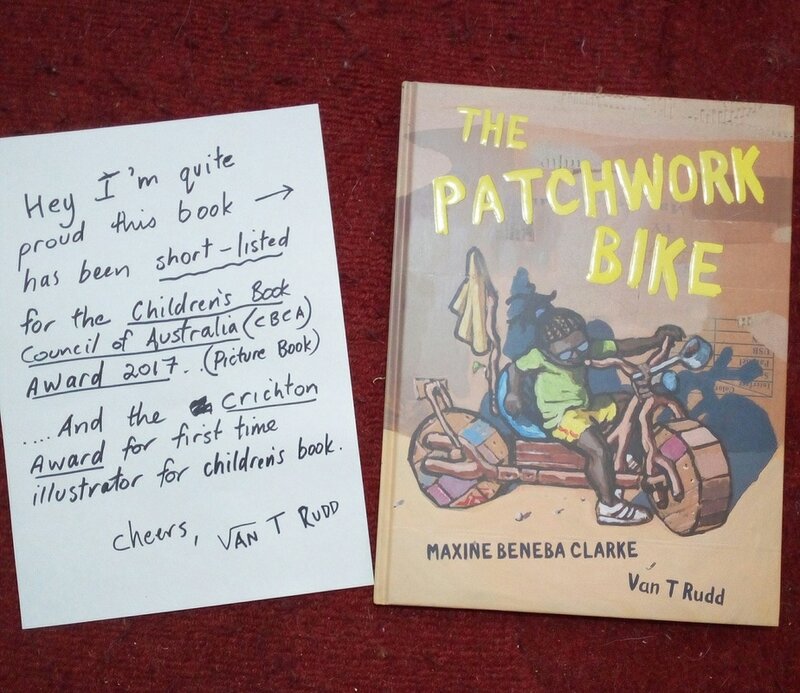 Announcement: #ThePatchworkBike was awarded the Crichton Award 2017 for first-time Children's Book Illustrator! It was also award as a CBCA Honour Book 2017! This page covers some of my cartooning, children's book illustration and general drawing works. 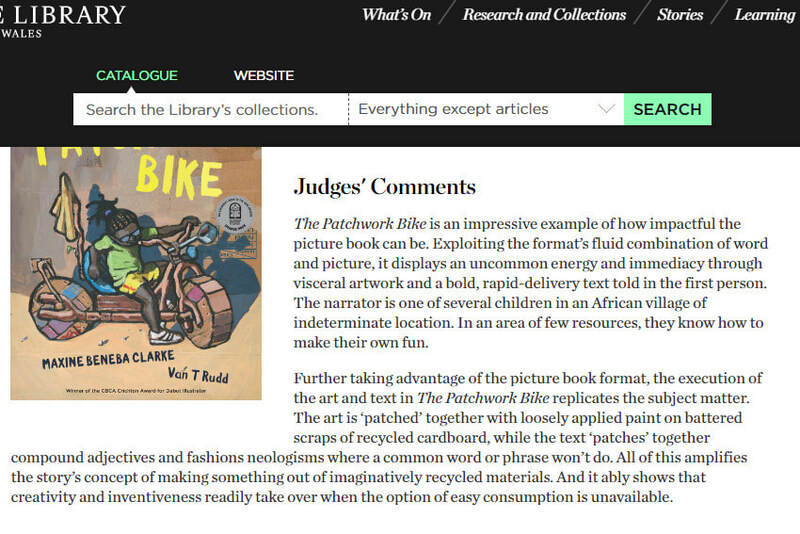 (above) A photo of one of the pages of The Patchwork Bike. Inspired by the Black Lives Matter protests in the USA. 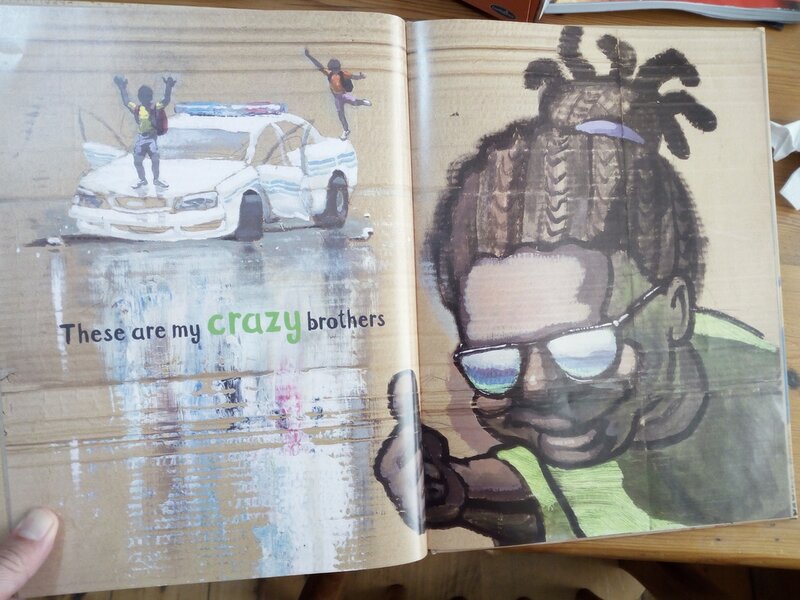 The brothers aren't that "crazy" at all are they? That's why she's smiling proudly.